Pittwater campaigners have been encouraged by a big swing against sitting MP Rob Stokes, promising that the fight for local hospitals and the local council will continue. 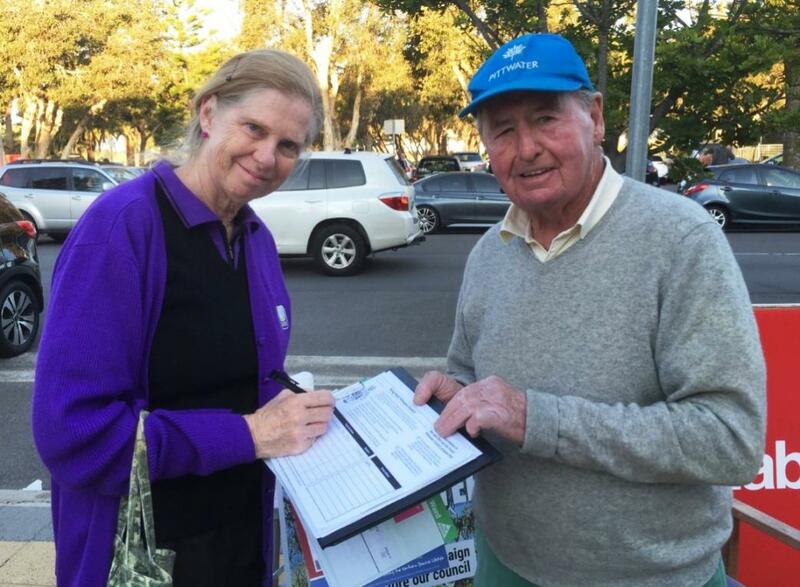 Mr Stokes secured his fourth victory in Pittwater at the election on March 23, winning 26,165 primary votes (or 57.8 per cent), down 10 per cent on the 2015 result. In two-party preferred results, Mr Stokes picked up 27,907 votes (or 72.4 per cent) of the two-party preferred vote (down 5.2 per cent on 2015). His closest rival was Greens Candidate Miranda Korzy, who attracted 6,866 of the primary vote (or 15.2 per cent), followed by Labor’s Jared Turkington on 5,650 (or 12.5 per cent). However, on preferences Mr Turkington moved into second place with 10,625 votes (or 27.6 per cent). Save Mona Vale Hospital chairman Parry Thomas said the closure of acute services at Mona Vale Hospital, problems at Northern Beaches Hospital and amalgamation of the council obviously had an effect, demonstrated by the drop in Mr Stokes’ primary vote. “The engagement of the community over the short period of time that we campaigned showed the depth of feeling in the electorate in the lead up to the election,” Mr Thomas said. “It made a significant difference to the final outcome - so the fact that the Liberals have been returned doesn’t mean that the fight will stop. “In terms of community engagement, it does not change the fact that a survey we recently carried out showed that 94 per cent of our community is fundamentally opposed to the loss of acute services at our (Mona Vale) hospital and its imminent demolition. Three level 3 local hospitals with acute services and specialisations like aged care. “It just demonstrates how our community has been dudded over hospital services,” Mr Thomas said. Protect Pittwater chairman Bob Grace said he personally thought 10 per cent was a great swing against Mr Stokes and the party he represents. “This demonstrates that we must continue the fight. It hasn’t been lost,” Mr Grace said. 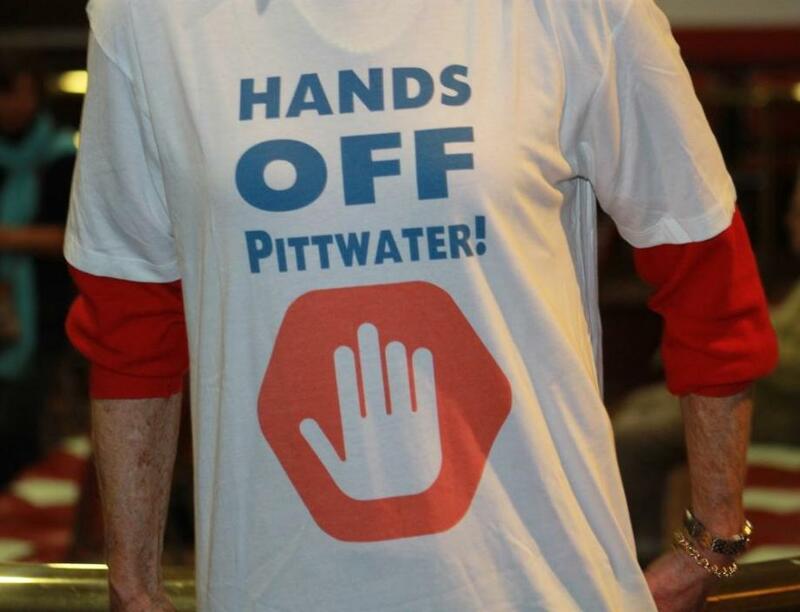 “Eighty-nine per cent of Pittwater people wanted to keep our council before amalgamations and we are still waiting for a response to our demerger proposal submitted 10 months ago - to then Local Government Minister Gabrielle Upton under provisions of the Local Government Act. Greens Candidate for Pittwater Miranda Korzy congratulated Mr Stokes on his win and thanked all those who voted for her and helped the Greens’ campaign. “The swing of nearly 10 per cent against Mr Stokes should give the Liberal Party pause for thought, given that it would have unseated many MPs,” Ms Korzy said. “There is no runners-up prize at an election, however, the issues haven’t changed – so there’s much to be done. “We still have a dysfunctional hospital too far away from the community on the northern beaches, we’ve lost Pittwater council, and our environment is under serious threat from developers and an offshore gas mining proposal. Ms Korzy said Australian Greens leader Richard di Natale had now written to federal Treasurer Josh Frydenberg calling on him to block the sale of Northern Beaches Hospital - and another 42 owned by Healthscope around the country – to multinational tax dodger Brookfield, and at a minimum postpone a decision until after the federal election. “We’ll also be focusing on broader concerns like urgent and effective climate action and to improve the unequal distribution of wealth in Australia, which is now at levels unseen since World War One,” she said. The Save Our Councils Coalition, whose members campaigned at pre-poll and on election day, noted that there had also been big swings in other electorates wanting their local councils back. During polling SOCC posted signs encouraging voters “To put the Liberals last” and to number every square on the ballot paper (ensuring that votes are transferred to the next choice of candidate if a higher one is eliminated), despite multiple official complaints to the NSW Electoral Commission that were officially rejected. SOCC president Brian Halsted said the NSW government had merged Tumbarumba, Gundagai, Bombala, Guyra, and Pittwater councils amongst many others against their will in 2016. Tumbarumba High booth - Liberals down 30% from 2015. Gundagai High booth - Nationals down 19% from 2015. Bombala High booth - Nationals down 15% from 2015. “In Guyra the community actually conducted a poll on demerging on election day - the result 89 per cent want their council back. In the city across the whole of Pittwater the primary vote in the safe Liberal seat dropped 10 per cent,” Mr Halstead said in a Facebook post. “It is interesting to note that in Orange since the by-election in 2016, Phil Donato (Shooters, Fishers and Farmers Party) has increased his primary vote against the Nationals by a staggering per cent. “In Wagga Wagga Independent Dr Joe McGirr has increased his primary vote by a huge 18 per cent, this time against the Nationals, since his 2018 by-election win. “This 'new' Liberal/National State Government must agree to give communities forcibly merged a binding referendum, as is proposed by all other political parties and independents.” Mr. Halstead said. Resentments over forced council amalgamations persist according to the feedback local groups have recived from residents.